The climate debate often emphasizes the potential for boreal forests to act as carbon sinks. An important and sometimes overlooked factor in this regard, is the role played by the many small lakes present in such forests. A large part of the forests' carbon cycle passes through the lakes, and considerable amounts of carbon are released as carbon dioxide to the atmosphere. Such lakes may also produce other greenhouse gases, such as methane. Much of this, however, never reaches the atmosphere as it is degraded by so called methanotrophic ("methane eating") bacteria in the water. The microbial life of the lakes thus have a large impact on their emission of greenhouse gases. Sari Peura from the SLU is the project leader. "We examined the water of a frozen, snow covered lake in northern Sweden during one week. Then we removed the snow, and did the same samples and measurements for one more week," Sari says. "Our hypothesis was that the increased light would result in more active algae and therefore more oxygenized water, which in turn should benefit the microbial community and cause an increased methane reduction, compared to snow covered lakes." "We don't know yet exactly what causes this, Sari says. We assumed that the entire microbial community would benefit from the increase in available oxygen, but this was not the case. Our new hypothesis is that the algae activated by the light also produce and exude certain substrates that benefit other bacteria than the methanotrophs. Indeed, we could see an increase in such bacteria, but not in methanotrophs." It is important to understand the limitations in this particular study, Sari concludes. The experiment only went on for two weeks. 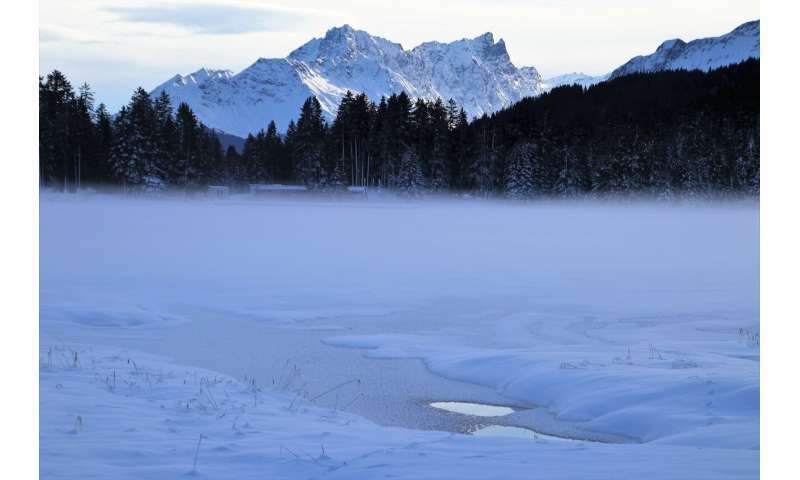 It clearly shows that a decrease in snow coverage on frozen lakes may lead to increased methane concentration in the lake, which in turn may lead to increased methane emissions into the atmosphere once the ice melts, thus potentially increasing global warming. However, to study this process over a longer time frame, a new study is required. We now mean to apply for a grant to conduct such a study.